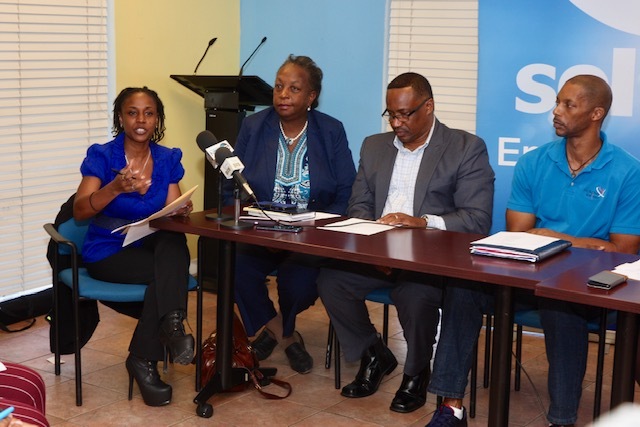 Pictured from left at the 2019 Junior Junkanoo press briefing: Dereka Deleveaux-Grant, Deputy Director; Jennifer Miller, Performing Arts Officer; Dr. Donovan Moxey; CEO, Mobile Assist; Dr. Dwight Marshall, Co-Chair NJC; Rhoda Jackson, Acting PS; Kishlane Obrien, Co-Chair NJC; Valentino Hanna, Marketing Manager, Sol Petroleum and Hubert Simmons, John Bull (hidden in photo). NASSAU, The Bahamas – The Junior Junkanoo Parade for 2019 promises to be the most exciting ever. Eighteen schools from New Providence, along with Tarpum Bay Primary and the South Andros District representing the Family Islands, have enrolled in the parade to be held on Bay Street, Thursday, January 31st, 2019 beginning at 6 pm. Acting Permanent Secretary, Rhoda Jackson, announced plans for the national cultural event at a press briefing, Wednesday, January 16, 2019 in the conference room of the Ministry of Youth, Sports and Culture (MOYSC). The theme for the 2019 parade is “Education is Key”. 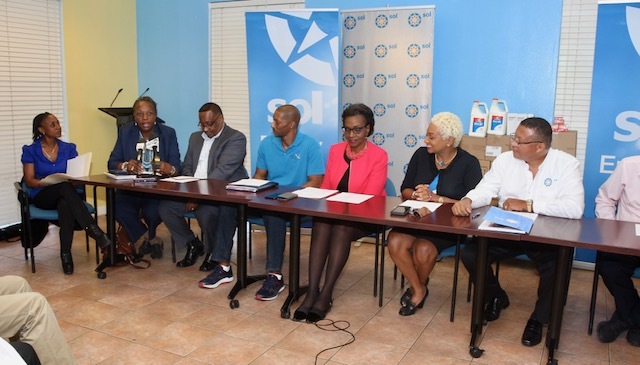 Representatives of the National Junkanoo Committee (NJC), MOYSC, John Bull, Sol Petroleum, and Mobile Assist, teachers and coordinators were present. Acting PS Rhoda Jackson speaks about the parade. Ms. Jackson reiterated comments by Minister of Youth, Sports and Culture, the Hon. Lanisha Rolle, that it is their responsibility to ensure that the story of Junkanoo is shared with children. “Our responsibility is to ensure that this legacy continues and is shared with our children of today, who become our leaders of tomorrow. The Ministry of Youth, Sports and Culture will continue to work with the Ministry of Education (MOE), our sponsors, teachers and parents so that we can carry on this national tradition in the schools,” said Ms. Jackson. She acknowledged the continued support and dedication of the principals, teachers, coordinators and parents of students who participate in Junkanoo. Dereka Deleveaux-Grant, Deputy Director of Culture, said the purpose of Junkanoo is provide an avenue for school-aged children and young people to participate in the country’s cultural tradition. Representatives of the NJC are pictured. She described it as an educational tool which, MOYSC, along with the MOE, use to teach the art and skills of the cultural tradition to young people. Mrs. Deleveaux-Grant, expressed thanks to community partners, the staff of the MOYSC and consultants for supporting and keeping the tradition alive. 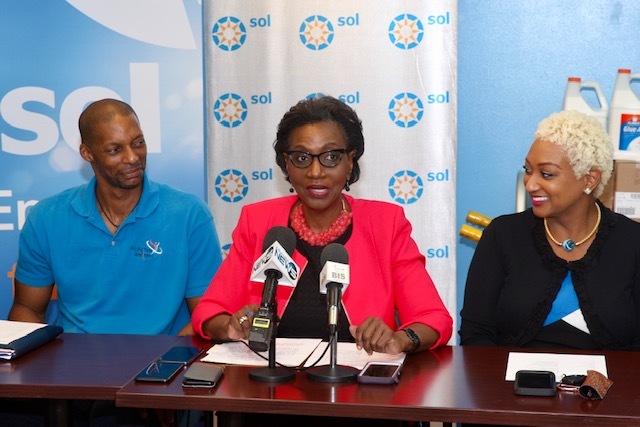 Sol Petroleum is the title sponsor of the 2019 parade. Mobil Assist (sponsor of the People’s Choice Award) and John Bull are new corporate sponsors. 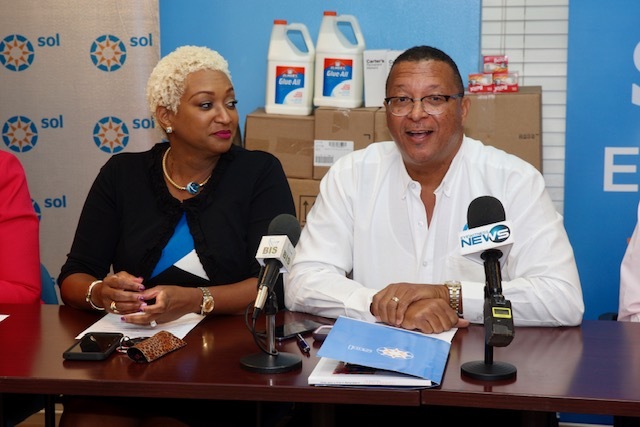 Valentino Hanna, Marketing Manager, talks about Sol’s contribution to Junior Junkanoo as a corporate sponsor for 31 years. He is flanked by Kishlane Obrien, Co-chair, NJC. Tickets at $10 each for bleacher seats will go on sale on Friday, January 18, 2019 in the foyer of the Ministry of Education. 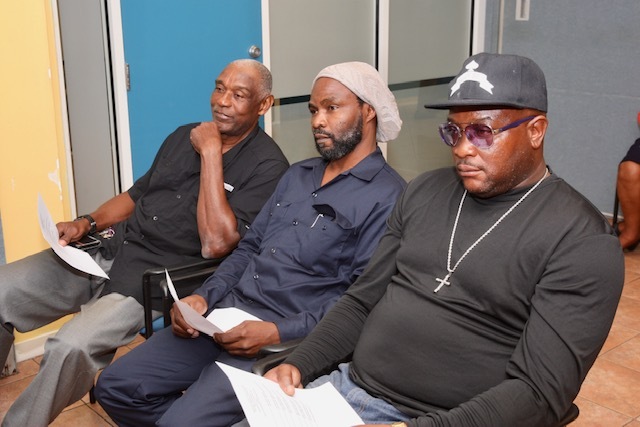 Family Island parades will be held during the period beginning January 26, 2019 in Grand Bahama and ending March 16, 2019 in Inagua. John Bull made a presentation of Elmer’s Glue and markers to the MOYSC following the briefing. Dereka Deleveaux-Grant, Deputy Director speaks on behalf of the MOYSC. Also shown from left is Jennifer Miller, Performing Arts Officer; Dr. Donovan Moxey; CEO, Mobile Assist; Dr. Dwight Marshall, NJC. Presentation of supplies by John Bull to the Ministry of Youth, Sports and Culture. 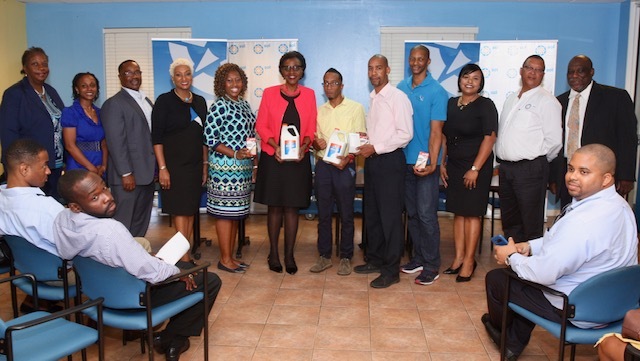 From left: Jennifer Miller, Performing Arts Officer; Dereka Deleveaux-Grant, Deputy Director; Dr. Donovan Moxey; CEO, Mobile Assist; Kishlane Obrien, Co-Chair, NJC; Sadira Levarity-Cooper, teacher, Woodcock Primary School; Rhoda Jackson, PS; Jason Evans, teacher, Jordan Prince William School; Hubert Simmons, Manager, John Bull; Dr. Dwight Marshall, Co-Chair, NJC; Tezina Darville, Advertising Manager, John Bull; Valentino Hanna, Marketing Manager, Sol Petroleum; and Henry Higgins, National Junior Junkanoo Coordinator.